Mix all ingredients and form a ball. Refrigerate dough till firm. We will use half for the tart. The other half can be frozen or refrigerated for other use (like quiche). ½ Cup Caramel by boiling 1/2 cup of sugar and 1 Tbsp. water. Take care not to burn caramel. Pour caramel in a pie dish to evenly cover bottom. Cut 4 Tbsp. butter in small dice and place on caramel. Peel, core and cut 7 medium sized Golden Delicious apples. 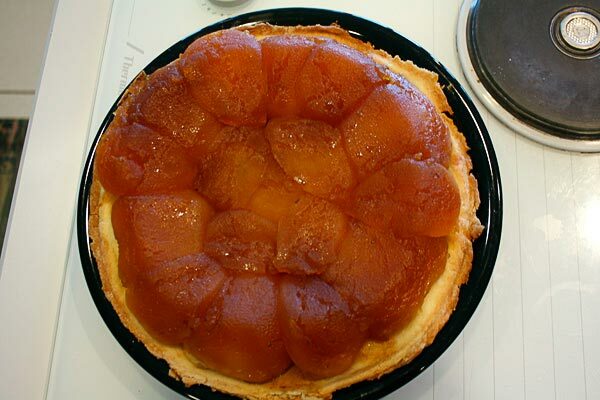 Place apples on the caramel with rounded side down. 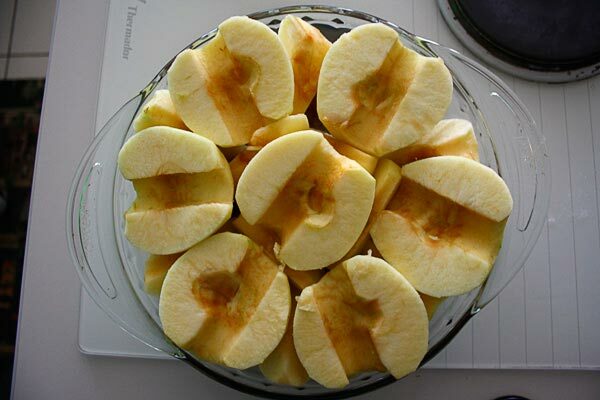 Use apple wedges to fill in any gaps. 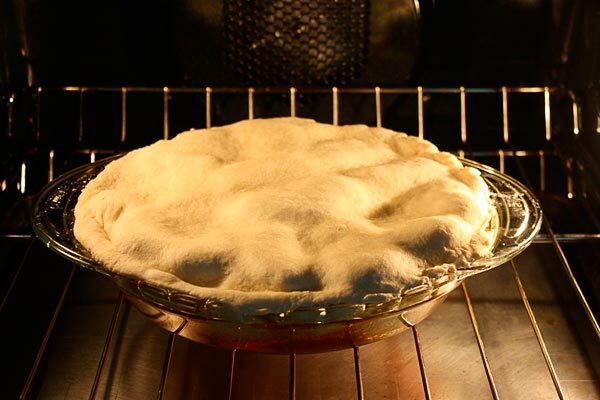 In the meantime, spread half of the dough on a floured surface and roll into a circle a bit bigger than the pie dish. 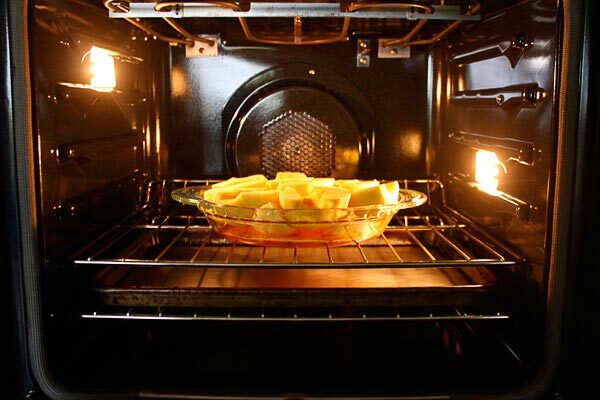 After apples have baked for 20 minutes, remove from oven, cover apples with dough and bake at 400° F for approximately 25 minutes or until pastry is golden. Let pie cool down. Then invert the tart onto a serving dish larger than the pie with a lip. Pie can be served with ice cream or crème fraiche. Crème Fraiche can be prepared by blending equal parts sour cream and heavy cream and letting set for a few hours.